with daylight shortening and nights cooling, any houseplants you moved outside need to come back indoors. 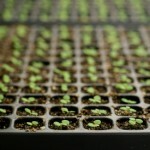 Not so for any pests that might be hiding on their leaves and stems. 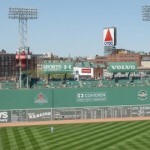 I don’t know about you, but when I get ready to bring them in, I have a bit of rearranging to do before they come in. My houseplants love their outdoor summer vacation. The bright light, fresh air, and quenching rains do wonders for their health. They grow more robust and get charged up for the rest of the year. Give leaf tops and undersides a good hosing with a strong, but not damaging stream of water. This dislodges larger caterpillars or spiders and often takes care of harder-to-see pests like aphids. Bugs love to hide in the plants leaves. If it is a small plant without a whole bunch of leaves, you can simply wash each leaf off. All you need is a bucket of warm water with some dish soap mixed in. Bugs hate soap, and it will either kill them or make them move off your plants. With a rag, wipe down the leaves with the warm soapy water. Recently I read about an interesting way you can do this if your plant has a lot of leaves – turn the plant upside down, stick the plant’s top into the warm soapy water and gently swish the plant around to wash the leaves off. 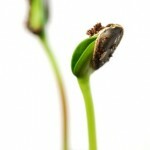 If you do it this way, you will need to place your hands over the soil to keep the dirt from coming out of the pot. You can also use an insecticide or insecticidal soap, and to get rid of scaly bugs and eggs or you can use rubbing alcohol. 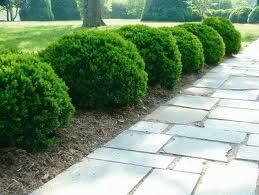 Whichever method you choose, make sure that you do it in the shade to prevent the sun from damaging your plants. Next, check the soil for bugs. 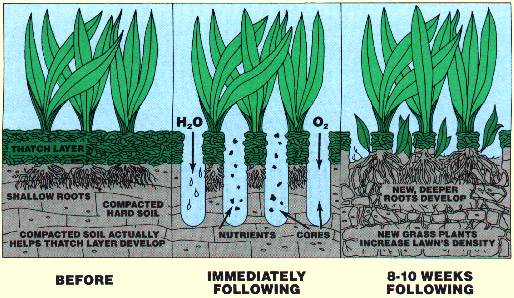 If you find bugs in the soil, you can take the plant and submerge the entire pot in water. Allow it to soak at least an hour. They should surface and you can skim them off of the top of the water. Once you have your houseplants washed, and soaked, it is time to bring them closer to the house. It is always a shock to your plants to go from one environment to another and it’s not unusual for your houseplants to show signs of stress when you bring them indoors. 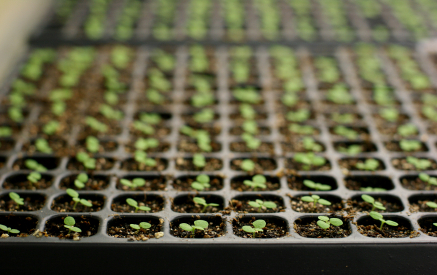 If you had your plants right out in the open, you will want to get them accustomed to the inside. If you have a porch, bring them in there for a week or two to help them acclimate. Do this only if you have the time before it freezes though. If you bring them directly indoors, try to put them in a place with the same level of light they had outdoors. Also, mist them with water to keep humidity high. If you have any questions, tips or ideas-please, we encourage you to share them! Description: White grubs are “C”-shaped larvae, up to 1 inch long, with cream-colored bodies and brown head capsules. They have three pairs of legs, one on each of the first three segments behind the head. Adult beetles, commonly referred to as May beetles or Junebugs are ½ to 5/8 inches long, and reddish brown. “Grub” is a catch-all term for the larval, or worm, stage of many kinds of beetles. 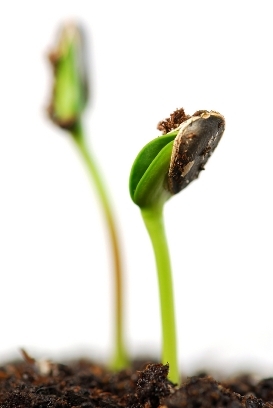 May beetles (also called Junebugs), Japanese beetles, Masked Chafers, Billbugs, Asiatic Garden Beetles and others all are grubs in the soil prior to emerging as beetles during the growing season. Grubs hibernate during the winter months and then they must come up in late spring to nosh grass roots for a few weeks so they then can pupate from grub to adult Japanese beetle or June beetle. In the Northeast, Japanese beetle grubs are the most common pests of residential lawns. Grubs are plump whitish colored worms that grow 3/4 to 1-1/2 inches long. They have 3 pairs of legs and tan heads with large, brown-black mouth parts. They rest in a characteristic C-shaped curl just under the soil surface in planted areas or turf, where they feed on roots of ornamental plants and lawn grasses. They typically are found in irrigated lawns, though non watered lawns are not at risk. 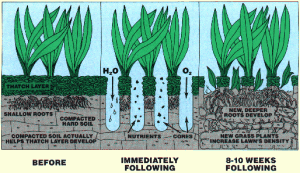 other factors that can lead to poor rooting and are mistaken for grubs. 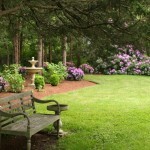 For example, lawns in shade areas often have weak roots and are pulled-up easily. 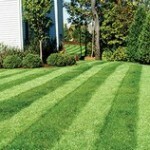 Grubs do not typically appear in shade lawns. It takes only 5 white grubs per square foot in a lawn with only two inches of roots to virtually destroy that lawn if nothing is done. Since the grass roots have been destroyed, the lawn will appear yellow in patches, just like the lawn is dying out. Therefore, the damage looks quite similar to symptoms of dryness. Another sign of grubs is damage from skunks and raccoons digging up lawns in search of grubs to eat. 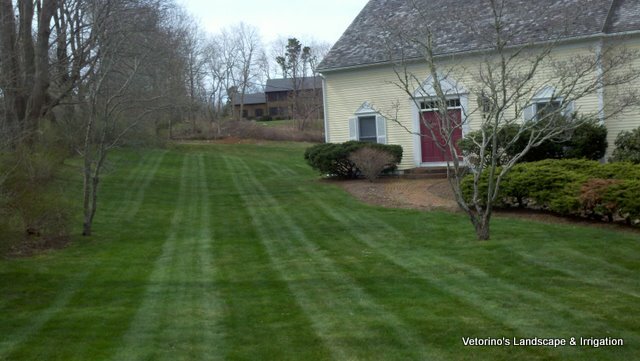 This usually happens at night.If significant grub damage occurs, the lawn will need some renovation work in early fall.It’s wise to monitor the lawn as we advance into late summer and be ready to act if grubs start to appear. Watch for grass areas going off-color and just starting to brown, in particular those areas that have been irrigated. Check the root zone for small white grubs. Insecticides such as Diazinon or Trichlorfon (Dylox) can be applied when grubs are first noticed to prevent large-scale damage. Other insecticides such as Imidacloprid (Merit) or Halofenozide (GrubEx) can be applied prior to noting damage, such as in late July to lawns likely to show damage (adult beetles present, irrigating lawn). All of these insecticides should be watered into the soil for best results, it’s also beneficial if your lawn is watered prior to application. That’s where we come in- our licensed, trained professionals will be happy to discuss what treatment plan is right for you. According to the US Department of Agriculture’s hardiness zone map, we are Zone 6-A, and I always thought we were 7- see, we can learn something new every day! Though nothing is perfect, there are pros and cons to this map- such as-that it does a fine job of delineating the garden climates of the eastern half of North America. That area is comparatively flat, so mapping is mostly a matter of drawing lines approximately parallel to the Gulf Coast every 120 miles or so as you move north. The lines tilt northeast as they approach the Eastern Seaboard. They also demarcate the special climates formed by the Great Lakes and by the Appalachian mountain ranges.-which is a good thing. With a pro there is usually a con, and here it is- In the eastern half of the country, the USDA map doesn’t account for the beneficial effect of a snow cover over perennial plants, the regularity or absence of freeze-thaw cycles, or soil drainage during cold periods. And in the rest of the country (west of the 100th meridian, which runs roughly through the middle of North and South Dakota and down through Texas west of Laredo), the USDA map fails. So as with anything, you have to use your best judgement. 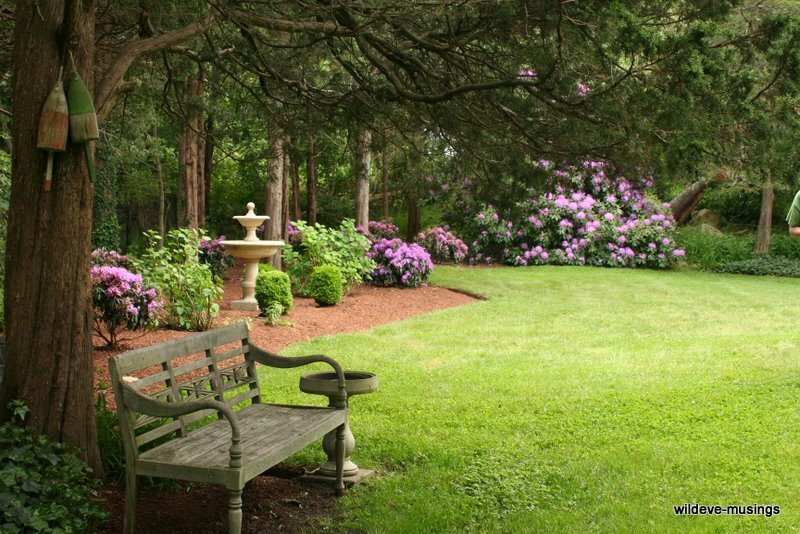 Here are a few things that you can do to start getting things ready for Spring! This is also a good time to check your houseplants for any pests and finish up your catalog seed and plant orders-I say- get out there and get those hands dirty!! for all of your landscaping needs……..
There’s an old adage about not putting all of your eggs in one basket -It is an idiomatic phrase meaning that one should not focus all his or her resources on one hope, possibility or avenue of success.If you put all of your eggs in one basket when you are ready to sell them, if anything happens to the basket, all the eggs will be gone. Therefore, it is best to put the eggs into several different baskets for safekeeping – or, best to put your money or time or investment into several different things. This isn’t always true- and for your landscaping, there are many benefits to having one company for all of your landscaping needs. There are many benefits to having a Fall clean up~It’s not just about the appearance of your property that should make you decide to have a Fall cleanup. There are several other factors you should think about as well. By removing the leaves from the lawn, it helps to keep lawn fungus’ at bay, lawn fungus’ such as Gray and Pink Snow Mold. Snow mold is caused when there is an extended period of snow cover on ground that is not completely frozen. Snow mold can also occur under leaves that have not been cleaned up or amongst long grass that should have been mowed once more before winter set in. 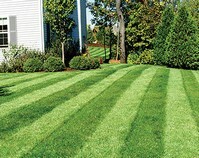 Leaves can smother the lawn and kill it off, which becomes expensive in the Spring when you get the new grass to grow. 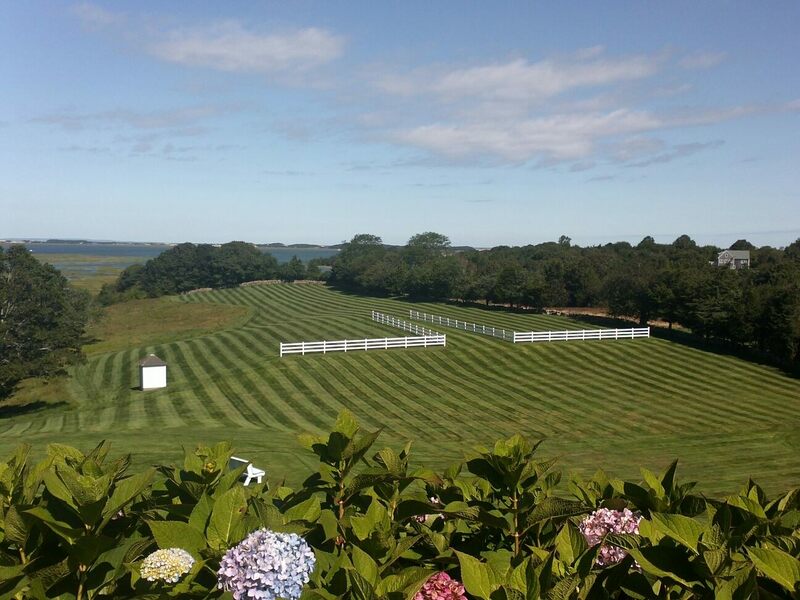 Most lawns in the Northern U.S. are composed of one or more cool-season grasses. 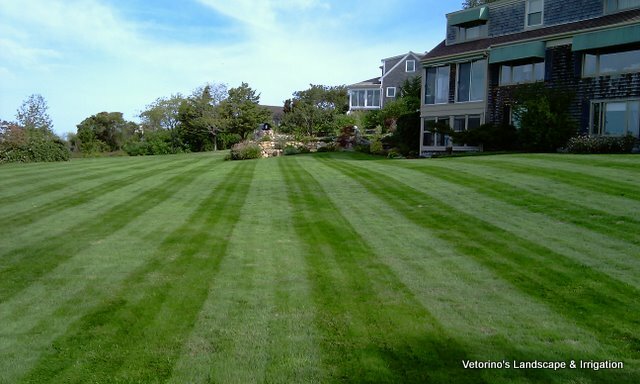 “Cool-season” lawn grasses are so called because they’re most active during those periods of the year when moderately cool weather predominates. Fall is one of those times. Blessed with sufficient sunlight, nutrients and water, and enjoying temperatures that are neither too cold nor too hot, cool-season grasses such as Kentucky bluegrass revitalize themselves in fall. This is when they must “make hay,” strengthening their root systems. A thick layer of fallen leaves can impede the growth of these grasses. Why? 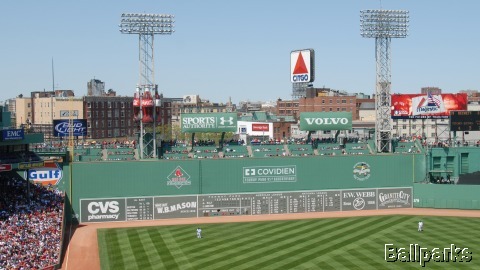 Because they can deprive the grass of a key element: sunlight. If not raked up in time, a thick and/or matted layer of fallen leaves casts excessive shade over the grass below. 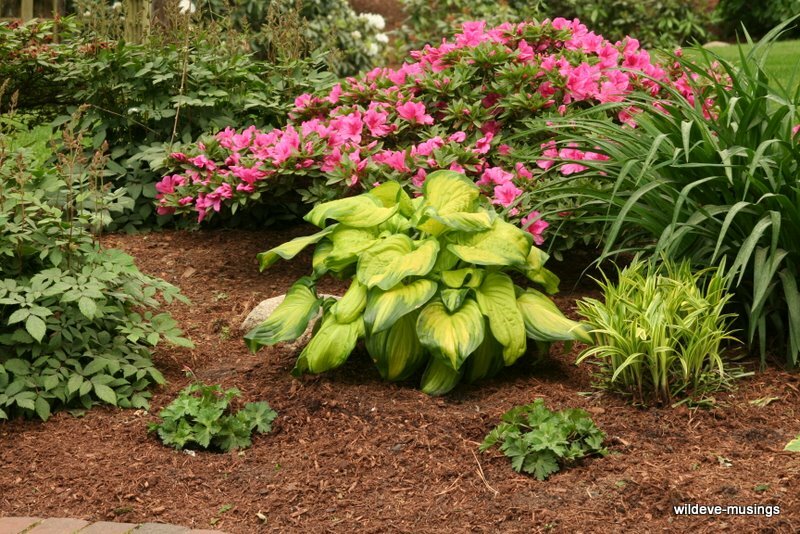 Last but not least….wet matted leaves are harder to clean up in the spring, which takes more time and thus your cost increases. 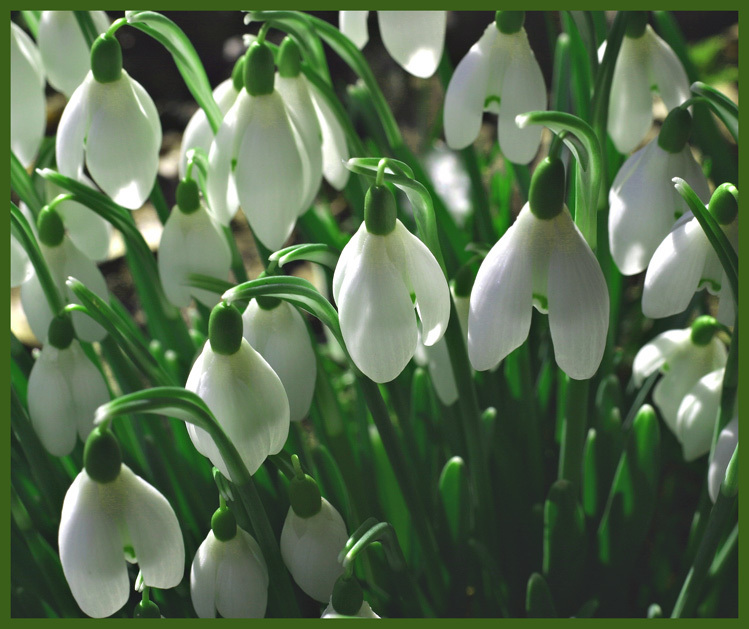 You may have begun to notice the little white moths flying around at night………guess who!!! Winter moth larvae hatch and feed ravenously on leaves and fruit beginning as early as March, when temperatures average 55F. Larvae feed on the inside of buds, especially the flower buds of fruits, and leaf clusters during the day, inching their way to the outside of leaves at night. 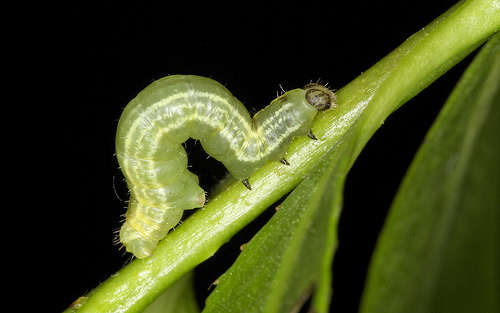 Older larvae feed on foliage. In areas with large infestations winter moth larvae can completely defoliate host plants. In June, larvae drop to the ground under the trees where they bury themselves in the soil until fall. November through January, adults come out and mate. Having no wings, females have a grueling climb up tree trunks where they lay eggs. As always, we welcome your questions and feedback below…. 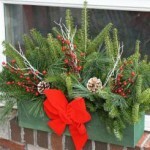 Fill the planter (window boxes, whiskey barrels etc) with dirt or some green florist styrofoam so that you have something to anchor your decorations to and start placing your decorations, let some of the greens overhang the sides. A fun idea is to add some of those oversized plastic ornaments and drape some small Christmas lights throughout the display. There are so many ideas, and it really is fun and easy to do. We’d love to hear some of your ideas, so please share them with us in the comment box below- Happy Decorating! Ready to head out into the garden? A pair of sharp hedge shears will make your work go quickly. Keep pruners handy for the tougher stems. 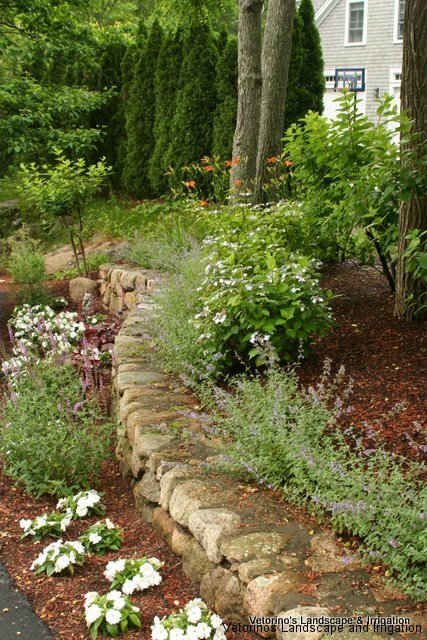 Cut perennials back one to two inches above the ground, so you can still see where they are. Pull out spent annuals. 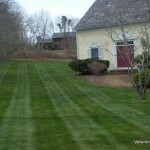 This is a great time to get the weeds out- doing this chore now can save a lot of headaches in the spring. Top dress your beds with a layer of compost or chopped leaves (I like to run them over with the lawnmower), being careful not to cover the crowns of the plants. 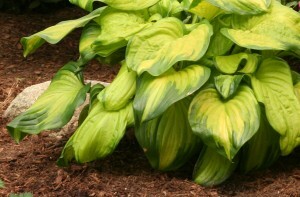 If you have a lot of Hostas and you don’t mind waiting for frost, they will turn to mush and can be easily raked up. 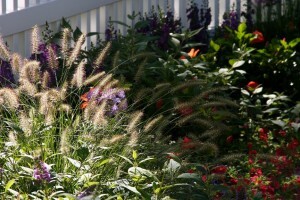 Ornamental grasses can be cut back in late fall or, if you like the way they look in winter- left up until spring. Tie them up before you cut them to make cleanup easy. Cut grasses 12 to 18 inches high. Some plants with attractive seedheads- Black Eyed Susans or Coneflowers, for example, can be left up for winter interest, and to provide food for the birds. Questions or comments are always encouraged! When you are ready to cut back your perennial garden this Fall, keep in mind that certain plants should be left alone until mid to late Spring, when the weather starts to get warm. It is fine to trim the spent flowers off of plants like Lavender, Russian Sage, Candytuft, and Santolina- but cutting into the woody stems could cause them to die back in the winter. Heucheras, Hellebores (Christmas and Lenten Roses), and Tiarellas (foam flowers) remain mostly evergreen through the winter. Remove the old leaves in the spring when the new leaves or flowers emerge. 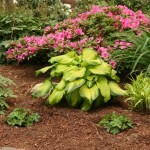 Some perennials need the extra protection of leaves to help them survive colder temperatures. Hardy mums and coreopsis return better and more vigorously if they are not cut back in fall. While peonies can (and should) be cut back one to two inches above the ground now, tree peonies should never be cut back. Questions or comments? Please feel free to comment in the space below-Happy Gardening!